Did you watch “Only Lovers Left Alive” by Jim Jarmusch? If you haven’t watched it, the movie tells about vampires, Adam and Eve, who stayed in sync with the fast-paced world to survive and carry their love through time. As well as Adam and Eve, one tiny detail went through fire and water to rebirth today and become the most powerful marketing technique ever. And just as love matters for surviving in today’s world of consumption and wealth, this detail is a sole ingredient that matters among digital marketers. A story activates brain responsible for experiences, while bare facts make only language parts of human brains work. It’s the reason why we retain 70% of information through stories, but only 10% — from data and statistics. We use feelings rather than facts to evaluate a brand, and those feelings influence our loyalty, trust, and intention to buy from that brand. Also, storytelling goes hand in hand with cognitive psychology. In her book Story Genius, Lisa Cron nails it: use core principles of human perception, thinking, and memory in stories for positive emotional response and desired decision-making from the audience. Isn’t that a key to marketing success? They who have a great story become successful. How do they do that? Where does that magic of storytelling hide itself, triggering a positive emotional response from users? And, after all, are there any particular tricks savvy marketers use to craft a one-of-a-kind story behind their brands? Let’s take a look at some palmary examples. To master the art of storytelling, marketers need to know the core elements of a message for it to become a story. Fiction writers have nailed it long ago and, therefore, survived. These elements are three: set-up, narrative arc, and resolution. 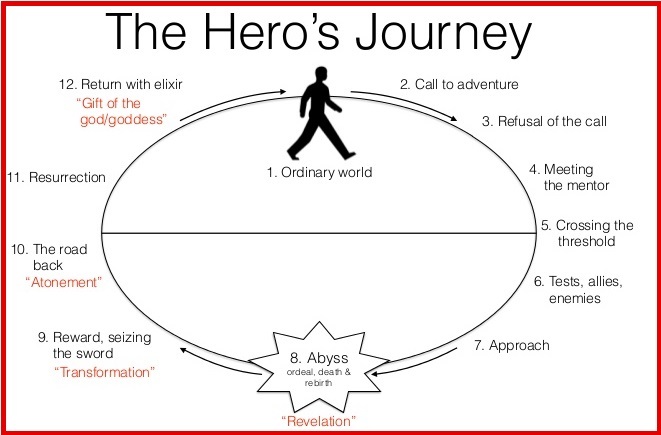 In a classic storytelling, this technique is known as the hero’s journey: Joseph Campbell has developed it back in 1949, and most Hollywood blockbusters are based on it today. How do marketers use it for brand storytelling? A hero (your target customer) leaves home for a journey to solve a problem, overcome trials, and come back with a reward (your product/service). Given that 92% of consumers trust media and peers’ recommendations more than other forms of ads, marketers make customers their heroes to build a bond between viewers and the brand so they would want to come back. That’s exactly what Loews Hotels & Co. did with the help of TINT. 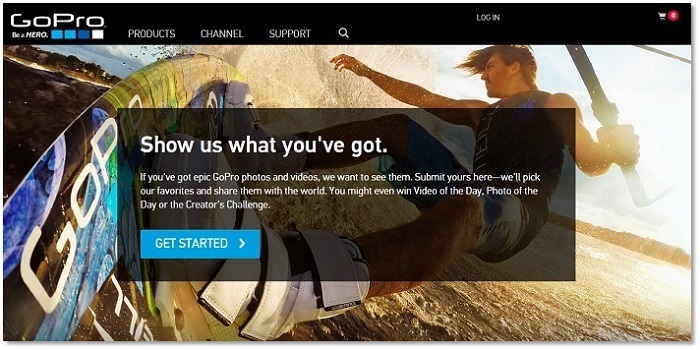 And that’s what GoPro has mastered back in 2014 and become one of the best brands with perfect storytelling. They have allowed users to tell the brand story, generating tons of content that demonstrated the best features of their product. 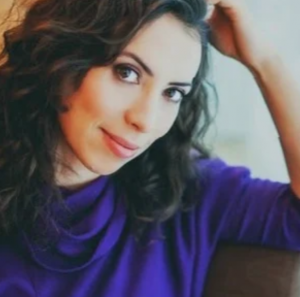 The reward was a community of passionate advocates (5.5 million YouTube subscribers) and $24.6 million income. Another example is “The Epic Split“ by Volvo Trucks. It tells a story, it triggers emotions, it makes us want to watch it again and again in hopes of those two trucks will finally tear Jean-Claude Van Damme apart (okay, it’s not funny), it demonstrates the benefits of Volvo, and it makes us “wow” and share the story again and again. Turn customers into protagonists of your story. Invite celebrities or opinion leaders to tell your story. Make your story hard to forget and impossible to ignore. 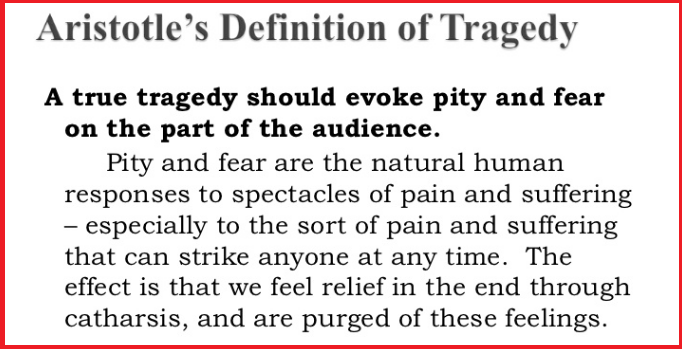 Aristotle named three other components of a good story: pity, pain, and catharsis. They turn stories into intriguing and memorable narratives, appealing to human basic emotions such as fear, anger, sadness, and surprise. In marketing, brands use it to make a message more powerful and meet the competition. A tragedy was a core component of Jose Cuervo’s brand storytelling. So, when someone says their life is boring, nothing newsworthy happens to them, and they don’t have any stories to tell but plagiarize or paraphrase from others — don’t believe! Every brand has stories to share with the world, but some merely don’t know which of them to tell and how to do that so they would engage and inspire people. To break this wall of misperception, to defeat a consumer’s mistrust, and become closer to their target audience, some brands apply anti-storytelling (anti-branding) technique. Starbucks did it but failed, altering the appearance and name of their brand to make it “an authentic neighborhood coffeehouse.” This way, they tried to feed on the local mistrust of big brands. But those who did it right were Zendesk, a customer support software maker. To spark the interest in their brand, their marketers decided to forget the story of Zendesk and craft a video about Zendesk Alternative instead. It’s about a fictional rock band who are frustrated about some unknown company “stealing” their name. However, musicians admit their need for Zendesk’s services and even write a song about the significance of customer support. 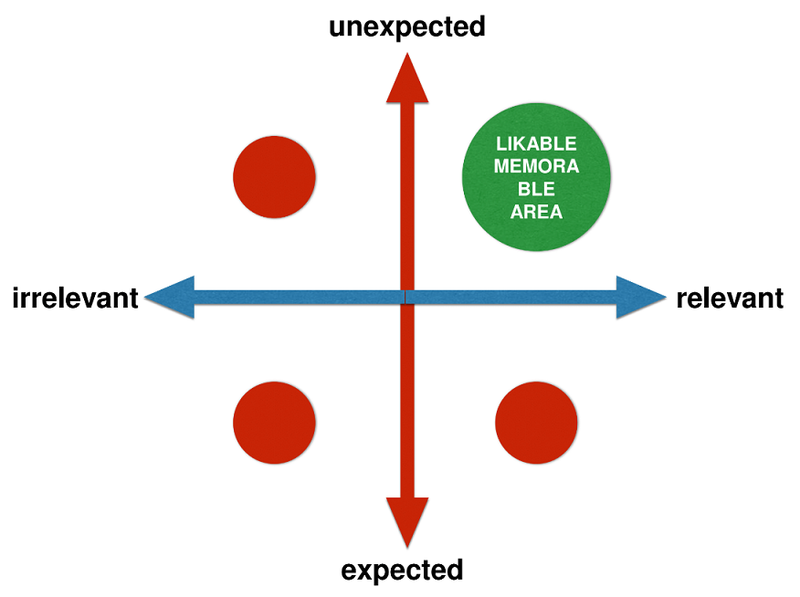 It should be unexpected but yet relevant to your product. How to combine these two incompatible details in your story? Let’s take Milka. They did a number of commercials: the Alps, fresh air, green meadows, cows eating the grass there and giving the best milk to use for chocolate afterward — all these components make the story relevant to their product. Relevant yet expected. 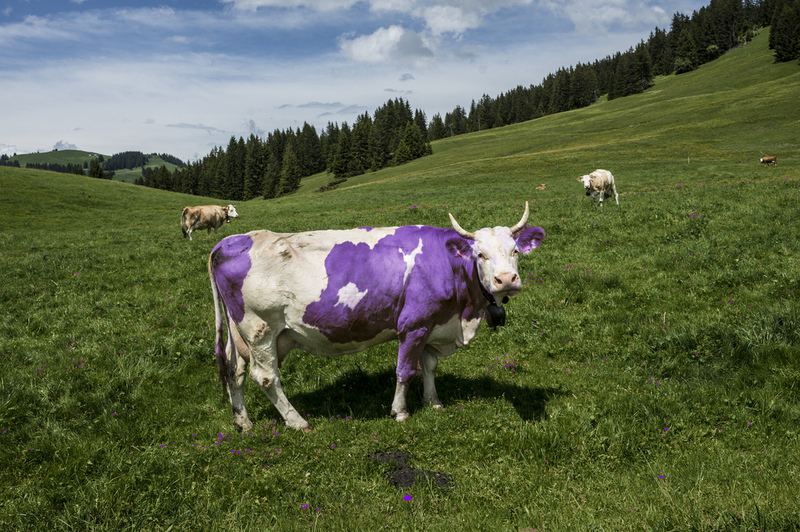 What has made Milka a strong brand that stands out on the shelves is an unexpected detail: a color of their cow! Let’s be fair: we all expect to see cows on meadows in the Alps, but none of us expects to see a purple cow there, right? Another example is Panda Cheese. Their “Never Say No to Panda“ campaign is a powerful combination of incompatible in the story. People decide if they want to eat cheese in the office, walk, hospital… Relevant? Yes. And then, a giant panda suddenly comes to terrorize those unwilling to try that cheese. Unexpected? Of course! All memorable stories from brands include this component. You need to examine pains, passions, fears, and values of the audience to reflect them in your story and, therefore, hit the insight. Determine a global goal of your brand and make sure it resonates with your audience needs. Storytelling sells, but it’s not about the “sell, sell, sell” principle. It’s about a brand positioning, real people, and long-term relationships. Thus, Nike never mention their brand name in commercials. They are not about selling snickers but telling stories of real people. They touch, appeal to our feelings and values, and market Nike as an ode to individuals, willing to change their lives and able to do that. Nike’s logo and “Just Do It” slogan appear in story finals and connect us to the community of dreamers, leaders, and doers. Their storytelling is not about products but a global mission, resonating with people. By telling your brand story, you make people remember it when the time comes for them to choose a product. Creativity, attention to details, relevance, and appealing to emotions are keys to activating their brain areas for your marketing success. Add a human element to your brand story. Keep it simple and universal. Introduce a hero with unfulfilled desires, who will reach the goal thanks to your brand. Make sure there’s a connection between your customers and you. Don’t be afraid of combining incompatible elements if they are relevant to your brand and its mission. A story is a language your audience speaks, and that is why storytellers rule the marketing world today. Drama, engagement, and emotions are what people need to remember and trust your brand. Tell them a story, show benefits — and your campaign will survive in today fast-paced world of marketing races. What are some of your favorite storytelling techniques?